Marketing. It's a necessary, career altering technique that authors must know and most do not. What can an author do to create a "buzz" about themselves, their book and be successful? They can turn to their bookshelves and thumb through their well-worn copies of Mosquito Marketing for Authors. This book tells you how to create and maintain a buzz that cannot be repelled. It's filled to the brim with 10 years worth of tried and proven documented free and low cost marketing techniques, encouraging tips from marketing gurus and other successful authors. This book tells you how to create and maintain a buzz that cannot be repelled. 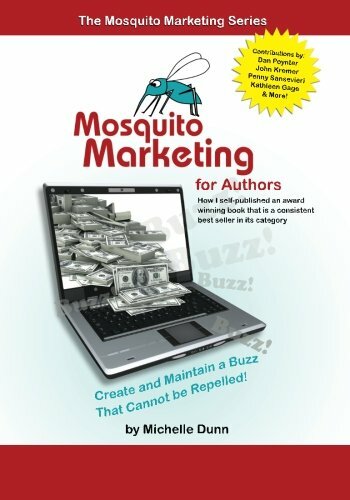 Mosquito Marketing for Authors will be an inspirational, practical guide for writers, self publishers, business people and those who would like to write and make a living.